Have you been following My Pumpkin Challenge lately? These sweet ladies are so creative with the Paper Pumpkin kits i am always amazed, every single week. I decided to make a birthday card with my Filled with Love kit from January. 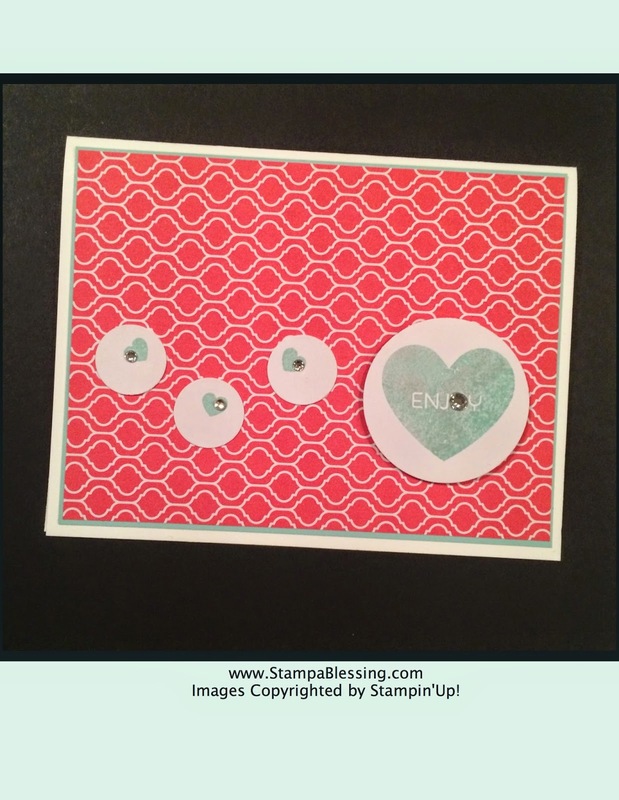 A change in colors made the trick, and since I had no more hearts to stamp I punched with circles. For this card I used one of my scrap pieces of DSP cut 1/4" shorter than the card base. That is 4" x 5 1/4" Colors are Melon Mambo and Pool Party…happy colors! And I thought it totally deserved a stamped envelope! Gotta love Paper Pumpkin stamps. 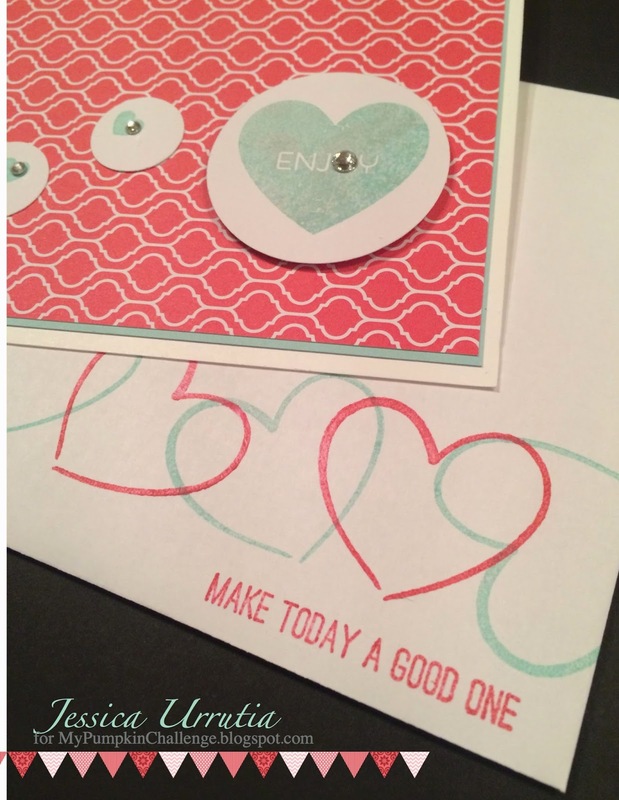 Visit My Pumpkin Challenge today and share the love of stamping with My Paper Pumpkin. So pretty Jessica! 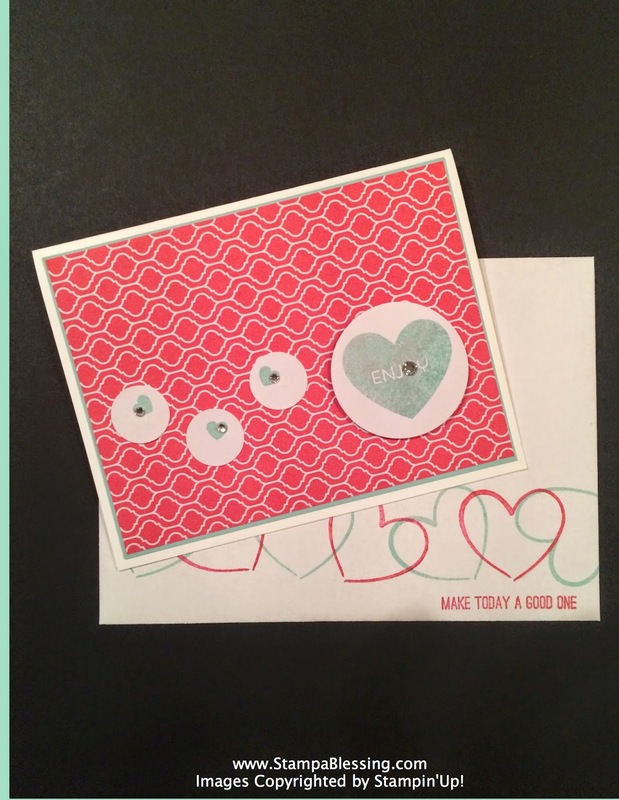 The stamped envelope was the perfect finishing touch!